Health insurer Blue Cross Blue Shield announced Thursday that it would not be participating in the invidual market in Nebraska next year, and the remaining insurer hasn't decided if it will leave also. Blue Cross Blue Shield is projected to lose $12 million this year from offering plans in the state, and the company would need to increase its price for premiums next year by 50 percent. 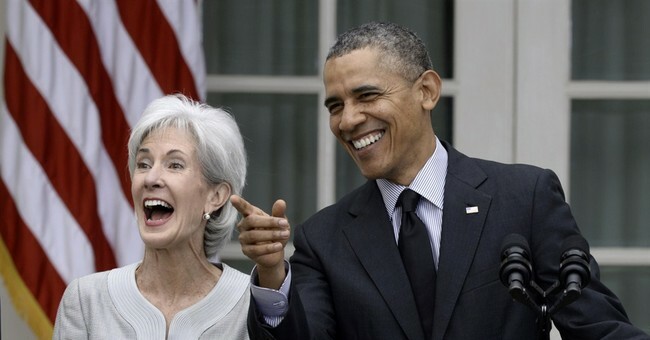 The company previously participated in the Obamacare exchanges, which resulted in $150 million in losses...About 100,000 Nebraskans purchase their health insurance through the Obamacare exchanges, which allow most enrollees to receive tax subsidies to pay for their plans. Medica is the other insurer offering plans on the exchange in Nebraska. Medica Health hasn’t decided whether to offer plans next year that meet the Affordable Care Act’s standards. If Medica joins the ranks of health insurance companies leaving the individual marketplace because they have been losing millions of dollars, Nebraskans seeking individual policies may not be able to find health plans at any price...Nebraska Gov. Pete Ricketts said Blue Cross’s decision “demonstrates the failure of Obamacare and how the system was so poorly designed that great companies like Blue Cross Blue Shield can’t stay in the marketplace. It highlights that Congress needs to act to make the health care system sustainable.” An additional 86,000 people in Nebraska have ACA plans this year, about 50,000 of those from Aetna Health, which decided last month it wouldn’t offer the plans in 2018 because of financial losses. That will leave only Medica, which covers about 36,000 people this year.